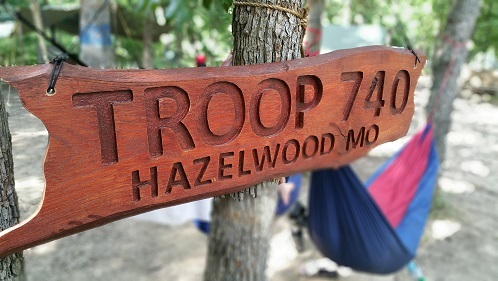 Troop 740 is located in Hazelwood, Missouri charted by Armstrong Elementary with school session meetings held at Hazelwood West Middle School in Hazelwood, MO. most Tuesday evenings from 7:00pm until 8:30pm. All boys 10 ½ years old, 5th Grade through 17 years old and their PARENTS are invited to attend a fun and exciting meeting for Troop 740. Our troop has 25 active scouts. 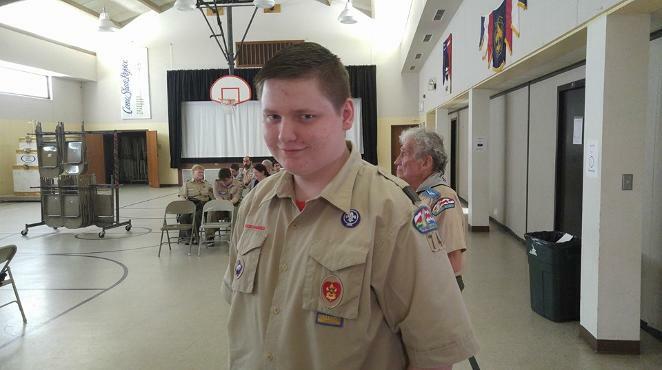 Our Troop is organized based on the Boy Scout tradition of "Boys leading boys." based on what the youth leadership decide. Calendar Note: Items in blue should be noted as "Troop Events". Items in red should be noted as "Council Events". 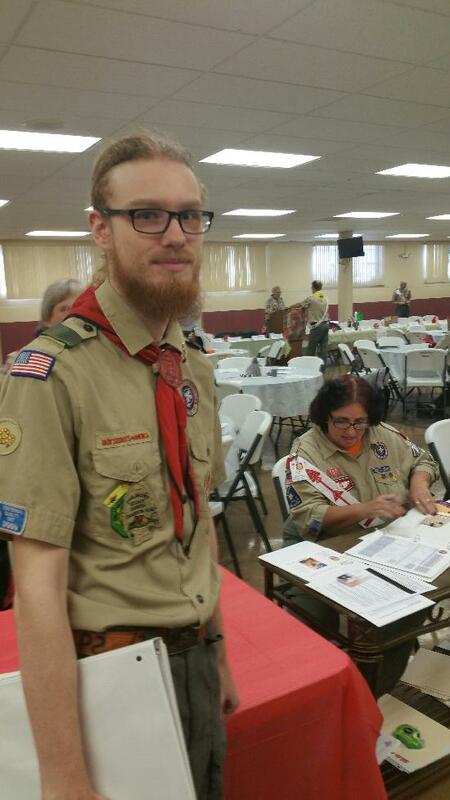 Note: Not all scouts activly participate in Council Events. However it is important to know what is going on!!!! 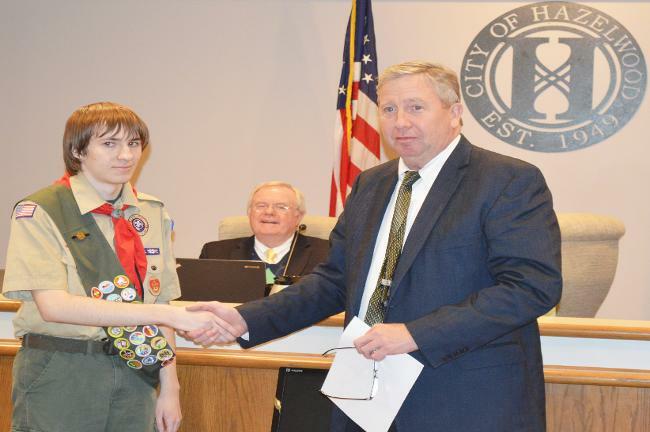 Congratulations to our newest EAGLE Scout, Mr. Erik Prescott, shown here with the Mayor of the City of Hazelwood MO.